Emotions are something people live with every day. Sometimes they're Shy or Mad, but they can also feel Happy, Sad or Confident. In Spiffy Kids!! Storybook of Feelings Collection J.R. Robinson introduces all of the different Spiffy Kids. They're fun characters with plenty of humor and a lot to talk about. With the Spiffy Kids there's never a dull moment, since they can't wait to tell everyone about their feelings. 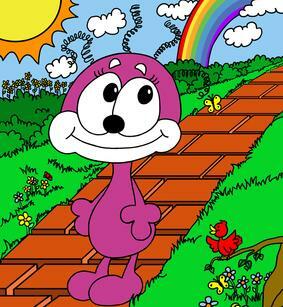 The Spiffy Kids are colorful cartoons. They are so much fun to look at and it's obvious immediately which feeling belongs to which Spiffy Kid. The Spiffy Kids all have their own rhyme, so they can tell us how they feel and what they're experiencing when they feel this way. 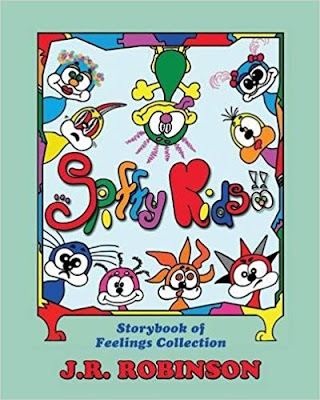 The Spiffy Kids also explain to children what they can do to feel better or how to deal with their emotions. The beautiful drawings and bright colors are very appealing to them. Spiffy Kids!! Storybook of Feelings Collection is a great book to help children understand and explain how they are feeling. I noticed that my son didn't always know how to tell me about his feelings. This made him get tantrums and he became frustrated when he couldn't make it clear what he meant. With the Spiffy Kids I found a fun and easy way to help him deal with his emotions. Children can easily relate to Mad, Happy, Sad, Shy, Worry and the other Spiffy Kids, since they're all so recognizable. My son and I absolutely love this wonderful book. The Spiffy Kids are sweet and adorable and I hope that there will be many more stories about them. this looks great for the little ones - a real treat of a read! I think this book would be good for my nephew. Sounds great! I'd love to read it with my daughter. Love your review. This definitely paints a picture for us parents who want our kids to become invested in their stories. It is so important to teach our children to openly discuss their feelings and to understand that we should respect those of others.